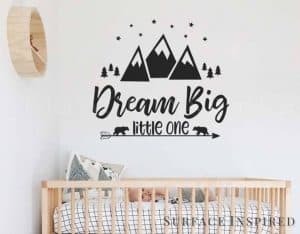 If it weren’t weird, I would have wall-to-wall baby nursery wall quotes everywhere in my baby’s nurseries and big kid rooms. 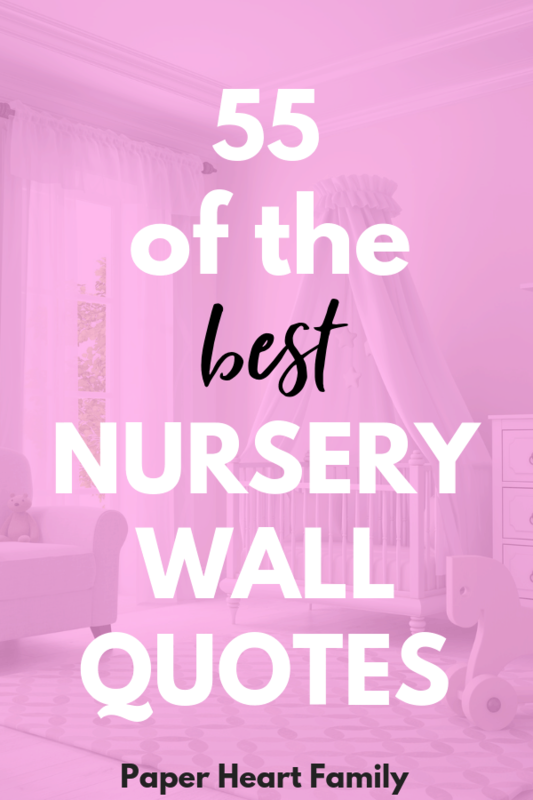 Because first of all, there are just so many fantastic new baby quotes to choose from, and also because there’s just something so inspiring about these nursery quotes. 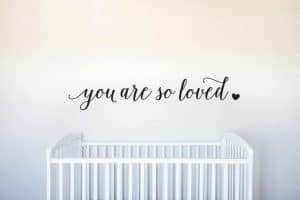 I mean no, your baby is not going to be inspired by them, but you can imagine that Princess Charlotte over in Buckingham Palace’s nursery is filled with beautiful and inspiring quotes. Your baby will grow up, look back, and see that even when she was a baby, you believed that she was destined for great things. 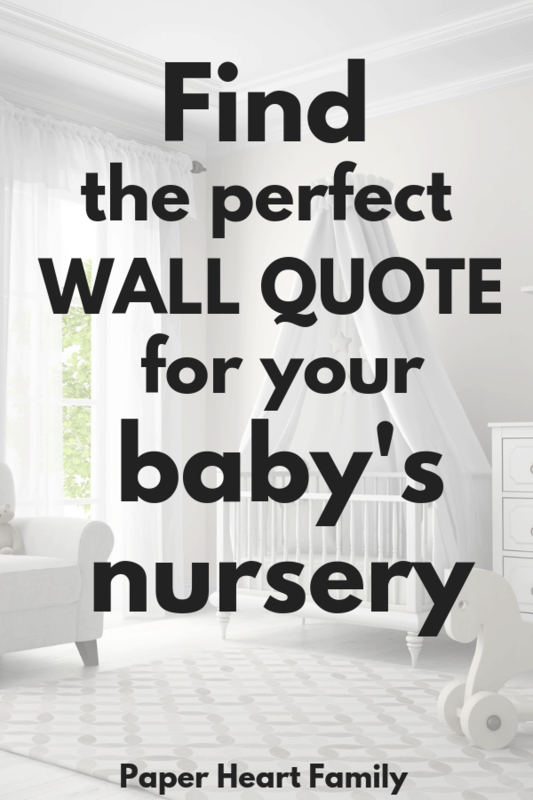 So now your job is to read these quotes and choose the perfect quote for your baby’s nursery. Or ten, you know, because they are ALL SO GOOD! 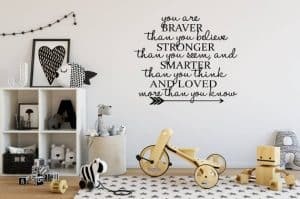 Can you pick just one of these baby nursery wall quotes? Twinkle, twinkle, little star, do you know how loved you are. When it rains, look for rainbows, when it’s dark, look for stars. Read me a story, tuck me in tight, say a little prayer and kiss me goodnight. To go to sleep, I count antlers, not sheep. Straight from the masters themselves, these Disney nursery quotes would be an amazing addition to your baby’s nursery. Did you know how many incredible Winnie the Pooh Quotes there are? A LOT. These Winnie the Pooh nursery quotes are just the beginning. We dream so we don’t have to be apart so long. 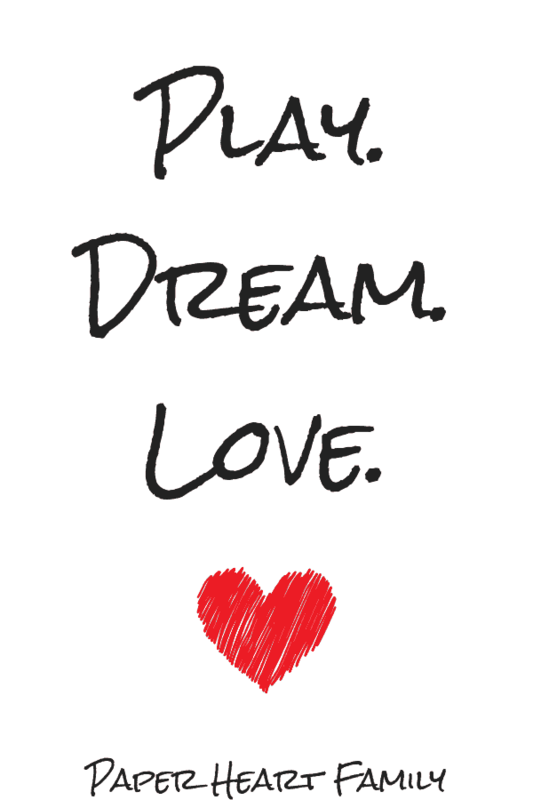 If we’re in each other’s dreams, we can be together all the time. So now you need to decide how you are going to display the quote that you’ve chosen. 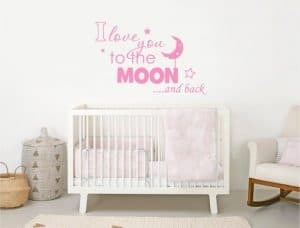 You might want to use one of my free printable nursery wall decal quotes or a nursery wall decal quote that you can see below! Hop on over to Etsy to see all of their gorgeous wall decals.